In the Pacific, digital commerce faces unique challenges. Photo credit: ADB. 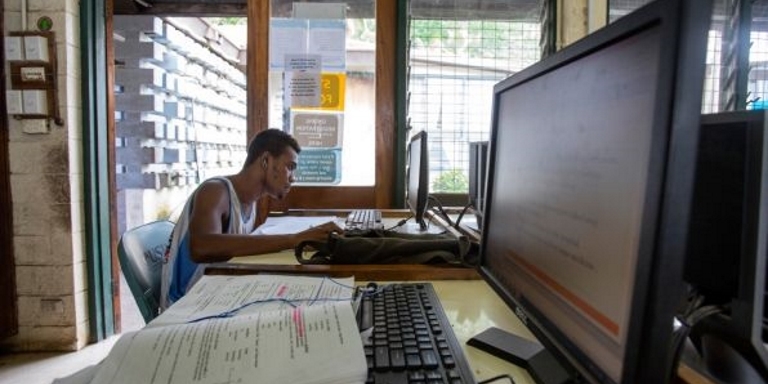 A study of Samoa's online firms provides lessons and insights for other companies in the Pacific. More than ever before, Pacific firms are moving online. Will this increase e-commerce? This online activity is particularly good news in 2016, as the Pacific has witnessed an 8.2% jump in tourism arrivals. According to Pacific niche exporters, tourists constitute the majority of their overseas customers, often by visiting the seller’s website after they return home to seek out more information or re-order souvenirs. To find out if Pacific websites are set up to respond to increased demand, we analyzed the online presence of 300 Samoan firms. We assessed three issues: whether their websites were searchable, whether website performance was being tracked, and whether the right information was included on the websites. This offers a glimpse into how small and medium sized enterprises – and particularly those in the Pacific with a unique dispersed geography - operate in the digital space. The sample consisted of 327 firms (out of 1,568 firms that have registered on Samoa’s company registry since 2013). Of these firms, only 11% have a website and 66% have a Facebook page. The rest had no online presence. The hotel/tourism sector represents the largest single category of website-enabled firms (35%). Others are in other services (35%), agriculture (17%), manufactured goods (5%), and information (5%). When we looked closely, we found that only 30% of the websites enable transactions and in more than half of those, the actual transaction takes place offsite, like through a hotel booking aggregator. The other 70% of sites are informational only. In a remote region like the Pacific, connecting to overseas buyers is a particular challenge. Moving online offers new opportunities to manage trade costs, even as the high cost of broadband suppresses business usage. First, website optimization. Search engine optimization (SEO) is the process of improving a website’s visibility to a search engine. By making a website informative and engaging, it will rank higher during relevant keyword searches, drawing more traffic and business. Yet, only 20% of Samoan online firms have completed basic website optimization. Second, social media. Social media is an excellent secondary tool for fostering communities around brands. It provides a forum for companies to interact with their customers directly. This is particularly true for domestic markets and where budgets are limited. Although the Samoan firms in the sample are present on social media, many have only partially completed their profiles. Having limited content posted doesn’t generate customer engagement. Finally, paid search. Less than 3% of Samoan companies with websites are running paid search campaigns—yet this is one of the easiest ways to generate traffic and sales. This is particularly affordable in the Pacific where the average cost per click is 61%–80% lower than the average in the US. Undoubtedly, this is due to the comparatively small number of companies employing paid search strategies, thereby keeping competition—and prices—very low. Fewer than half of websites in the Samoan sample have Google Analytics installed. This free tool enables firms to receive data on the basic elements of website performance, such as traffic numbers, sales, revenue, channel performance, historical performance comparisons, and seasonal trends. Analytics should be the starting point for any business looking to operate in the digital space. The design, content, navigation, and usability of a website determine the overall user experience, arguably the most important factor in generating business online. Especially for international sellers, a website must instill confidence that consumers are dealing with a trustworthy business. The overall design standard of the Samoa corporate websites is basic. A prospective buyer can find contact information and locations. However, in-depth information relating to products and services, operating hours, and user reviews are often missing. Invest in SEO to gain competitive advantage. The low rate of SEO adoption in Samoa is an opportunity. Should a few companies invest in SEO, they could dominate local rankings. Keep social media updated with fresh, interesting information. This is an effective supplement to a well-functioning website, and can keep a recent customer engaged before enticing them to return. Consider paid search for a low-cost, high-reward digital strategy. The return on investment is trackable, so scaling and accelerating growth is easier than via other channels (like social media). Use existing design platforms to develop high-quality websites that drive both traffic and revenue. Today, it is simple and inexpensive to develop an attractive, informative website. According to a 2014 survey by Pacific Trade & Invest, 44% of Pacific exporters report “enhanced online presence” as part of their export strategy. But this will only go so far. The Samoan early adopters underscore the need for deliberate optimization to fully unlock the potential of e-commerce in the Pacific. Alisa DiCaprio's research explores how to make international trade work better for development. Specific topics include trade finance, digital economy, technology and international trade regulation. Prior to joining the Asian Development Bank, she worked for the United Nations and did a post-doc at New York University. Michael is the co-founder and director of Yoghurt Digital, an Australian-based digital marketing agency. His expertise lies in using qualitative and quantitative research methods to design and execute digital strategies for both SMEs and large commercial firms.